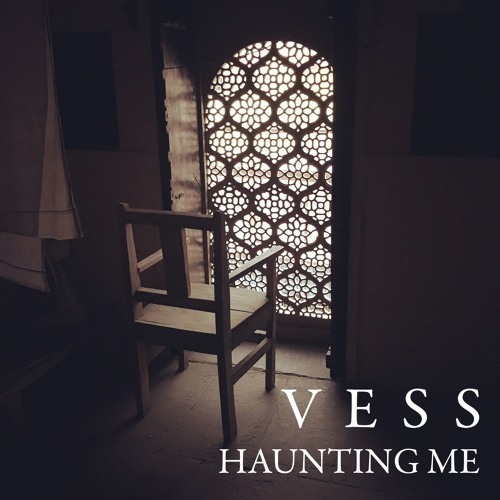 Home / brand new / música / VESS / VESS Drops New Single "Haunting Me"
VESS Drops New Single "Haunting Me"
Singer/songwriter VESS unveiled today his brand new single Haunting Me, the third single to be lifted from his upcoming album Shadows. It follows the previous singles Never Leave You Alone and Scaring the Dark. Once again VESS delivers a stunning piece with smooth and airy vocals that give the song a palpable emotional depth. Loving the infectious, pulsating beat and the mandolin (if not mistaken) gives the song an earthy, folksy vibe to it that I love. Stream this beautiful gem below! 'Haunting Me' carries with it an idea of a love that has been haunting me like a Spirit, studying me up close while I sleep, and interacting with me while I’m awake. Its a love that adores me, yet stays elusive and coy all the while. This song started out as bits and pieces of an unfinished concept but really came together in the studio both musically and lyrically. Some of the lyrics were finished just prior to me going in to sing them. Some songs are just like that I suppose; they don’t take on a tangible existence until you’re forced to complete them. Everything else that is around the song sonically was lot of fun to create and 'Haunting Me' ended being a great single from the album as a whole.